For ages on instagram we've followed and admired today's guest - her healthful recipes and photographic style focuses on the ingredients in a fabulous way that helps to emphasize how important it is to cook with in season ingredients. We asked her to be a summer community leader for the Pure Green In Season cookbook project and were thrilled when she agreed; in case you haven't guessed, today's guest is Sherrie Castellano of the blog With Food and Love, which is a gorgeous place to spend time, allowing yourself to get steeped in seasonal inspiration. Sherrie writes from a personal perspective, she's a health coach and aspiring plant-based chef, whose journey in healthy eating began with her discovery that she was intolerant to gluten. The journey back to health was full of ups and downs, but once she got things right, she was sold on her new approach to eating healthfully and now has made it her life's work to help others make similar changes through her virtual coaching business. We talk of all this and much more and the episode is one you're sure to thoroughly enjoy. 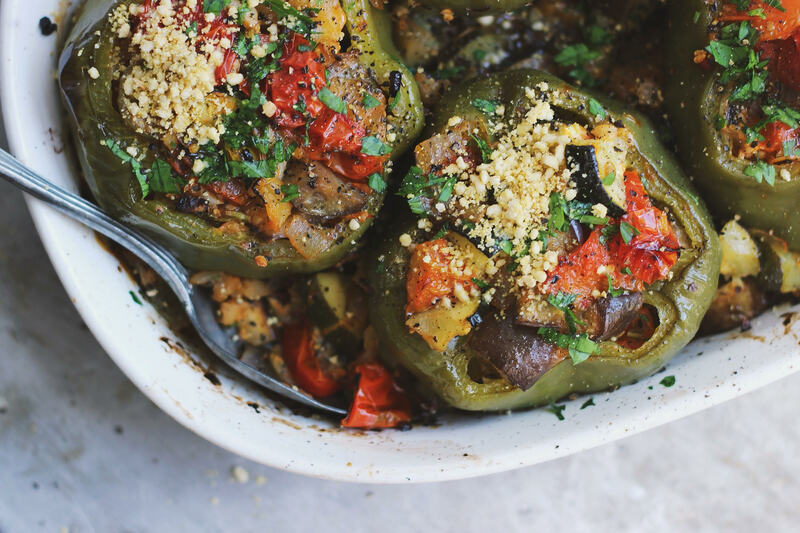 Shown Above: Sherrie's Ratatouille Stuffed Peppers with Vegan Parm, her contribution as Pure Green In Season community leader. Get the recipe & submit to the project! What set Sherrie on her current path of helping others through nutrition and wellness. The impact of gluten on her life (particularly the effect on her body and mind), working through cutting it out and the anxiety she felt, and her journey back to wellness. Sherrie's thoughts on what is driving growing gluten intolerance. How Sherrie became a Health Coach, and what that business looks like now (sign up for her 21-day Lean & Green course). What is your diet comprised of now? Sherrie talks about her blog With Food + Love—it's evolution and the role it plays in her life, as well as the meaning behind the name. 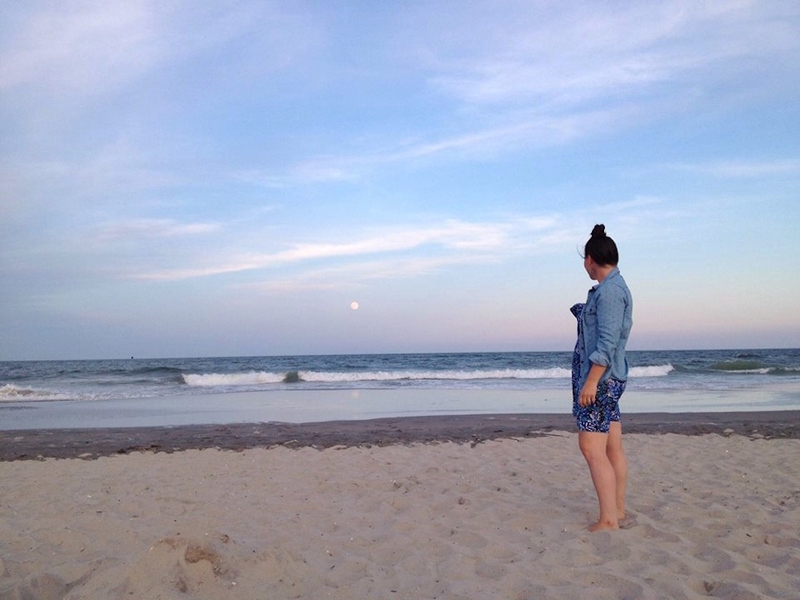 The biggest lesson Sherrie has learned through blogging. Sherrie describes her creative process, and how she is most inspired by the seasons. How are you inspired by the seasons? What do you do in the dead of winter?